MVP Gold and 75K elite members will continue to be able to change tickets for free up to the day of departure, but the more restrictive rule was still a great deal for travelers with MVP or no status at all. Similar to Southwest Airlines, you could get a full credit on your flight as long as you cancelled your trip at least 60 days before departure (even award tickets) and then assign that credit to a future flight. On the plus side, elite members are still sitting pretty, and it will get better with Alaska’s new first class seats this fall. This was truly a way that Alaska Airlines could set itself apart from the other carriers. I know it likes to talk about the loyalty program and “a mile flown is a mile earned,” but for the vast majority of people the miles are just a freebie. These change fees are cold, hard cash, and waiving them — even with conditions — is the kind of gesture that earns a good reputation. In addition to cutting the 60 day free change policy on regular tickets, Alaska Airlines will also be introducing basic economy — “Saver Fare” — tickets that allow no changes or cancellations at any time. You can’t even pay a fee to do it. Upgrades will also be forbidden. Alaska will be offering seat assignments with these Saver Fares — something many airlines do not do. On the other hand, they’ll be in the back of the plane, and customers will board last. It’s a reasonable compromise. Saver Fares will also continue to include a free carry-on bag, and remember that if you check your bag you will be able to take advantage of Alaska’s 20-minute baggage guarantee. Not speaking specifically about Alaska, I find it interesting that many airlines now effectively have three classes in the main cabin, plus a first and/or business class up front. Talk about segmenting your market! Aside from the new fees for flight changes, I think that dynamic pricing for Premium Economy is going to be the biggest pain point for most travelers. 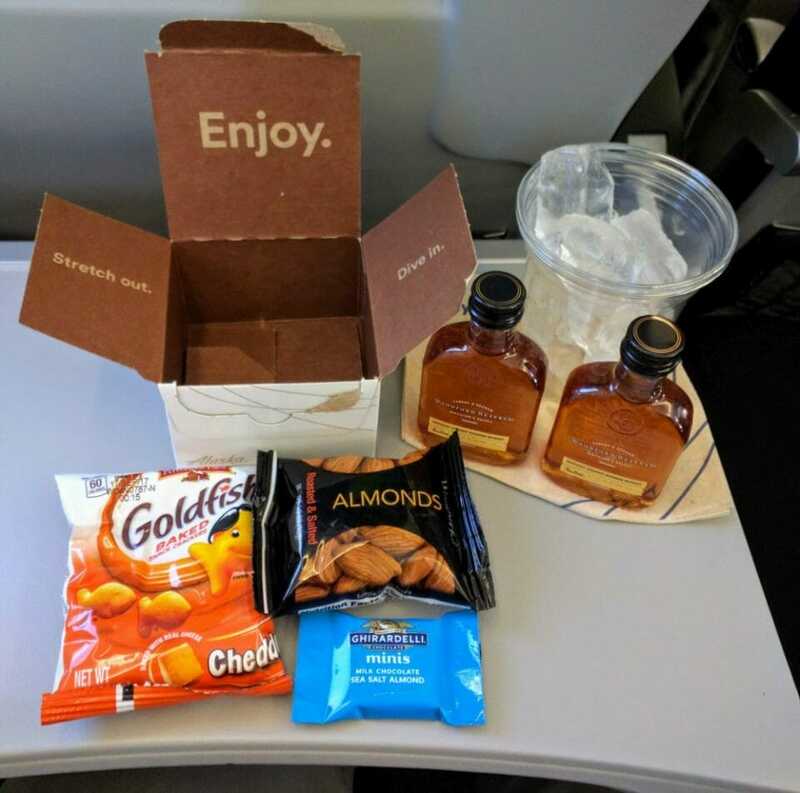 Right now Alaska has a fixed fee structure for upgrades to Premium Economy, which includes extra legroom, free cocktails, and a snack. That means you either get it for free with some more expensive fares (depending on status) or you pay a fixed amount to upgrade if there’s a seat available. A fee will also apply to seats in the exit row. By far my favorite snack box. The Woodford Reserve *almost* makes up for losing Hedge Trimmer Gin. Dynamic pricing means that if it’s a popular route, like San Francisco-New York or Seattle-Maui, then you could pay more for the upgrade. Whatever the market will bear. If it’s a low priority route (think Kansas City) then the upgrade could be cheaper. But as seats start to sell out, expect the upgrade price to rise. Rohan already covered some route announcements made during Alaska Airlines’ investor presentation on Friday, in which the airline made clear it will focus on the West Coast instead of continuing to support Virgin America’s mini-continent hub at Dallas-Love Field. This will see the end of service to New York-LaGuardia. Of course, there’s a new lounge opening at New York-JFK, so we can see evidence that Alaska remains committed to offering service to the East Coast. But I think that’s primarily with the desire to satisfy West Coast residents who want to visit East Coast destinations. New York in particular is a big enough market that they can justify a lounge for flights to Seattle, Portland, San Francisco, San Jose, and Los Angeles.